Team members, by default, can edit every time entry they’ve made as well as add new time entries for past dates. This flexibility, while useful, can sometimes be a problem. For example, an employee can change their hours after you’ve sent a report to your client or payroll and cause confusion. 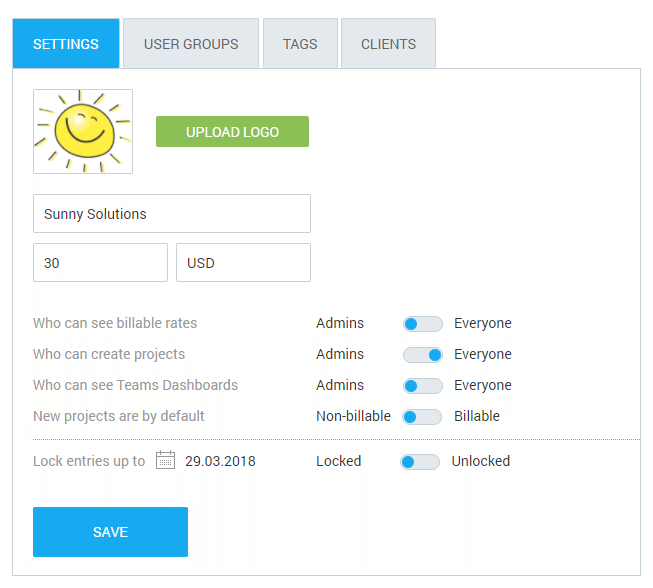 So we added a special feature that lets you lock all time data submitted by users before a specified date. You can prevent employees from editing their old time entries or adding new entries to past dates by locking timesheets. Once you lock timesheets, you can safely send your reports to your clients or accountant knowing the data will stay accurate. Lock timesheets is an extra feature, which you can enable by upgrading your workspace. Locking timesheets doesn’t affect administrators. Admins can still edit and add time in the locked period. To unlock, move the switch back, and everyone will be able to edit all their time entries and add new ones to any date they want. If you want lock dates to be automatically updated, you can use the Automatic lock feature.